Herbal medicine is the oldest form of medicine known to man. It uses herbs made from plant leaves, flowers, roots, barks, berries and seeds as medicine. Many orthodox drugs used today have been derived from plants, and over 80% of the worlds population still use herbs and herbal medicine as their primary medicine. Medical herbalists are taught to diagnose illness an the same way as GP's, however unlike most doctors, an initial herbal medicine consultation usually takes just over an hour. This allows the herbalist to understand what has been happening. After the consultation the herbalist will prepare an individual herbal medicine remedy for the patient. This could be a herbal tincture, tea, cream, linament, ointment, pessary, suppository or flower remedy amongst others. The herbalist may also offer advice on diet and lifestyle. Repeat visits are usually every 3-4 weeks, getting further apart as herbal treatment progresses. Herbalists aim to treat patients holistically to achieve the best results, helping get to the root cause of the problem not simply relieving symptoms. They encourage patients to play an active role in their own well-being. Herbal medicine is appropriate for most of the conditions for which you would visit your GP. These include digestive and circulatory problems, skin complaints, sleep, stress and emotional issues, hormonal imbalances, musclo-skeletal aches and pains, respiratory conditions and many more. Herbal medicines are natural products with few side effects, however they are powerful and it is recommended that you consult a qualified medical herbalist rather than self-medicating. Herbalists have studied drug/herb interactions and know which herbs can be used safely alongside other medication and they can work in partnership with your GP or other healthcare provider if you wish. Members of the National Institute of Herbal Medicine (MNIMH) have completed a stringent training programme, follow a strict code of ethics and are required to remain up to date through Continuing Professional Development. See the NIMH website for more information. 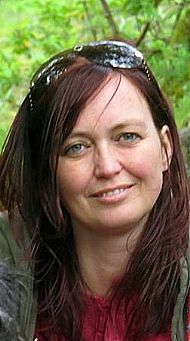 Jean trained as a medical herbalist at the Scottish School of Herbal Medicine in Glasgow and has been practicing as a herbalist in Helensburgh since 2001.